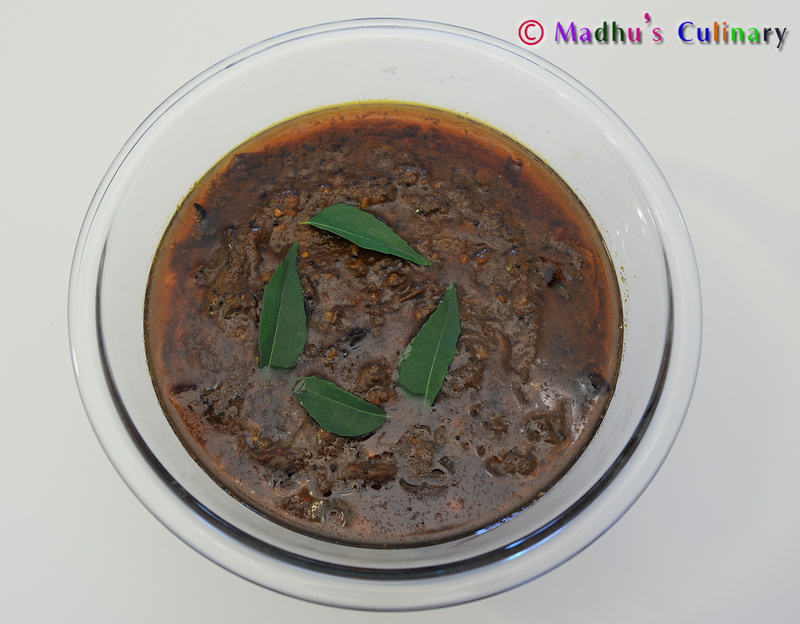 Pulihora Paste (Pulikaichal / புளிகாச்சல்) ->Suvayo Suvai | Simple Vegetarian Recipes, Easy to prepare and healthy to eat! 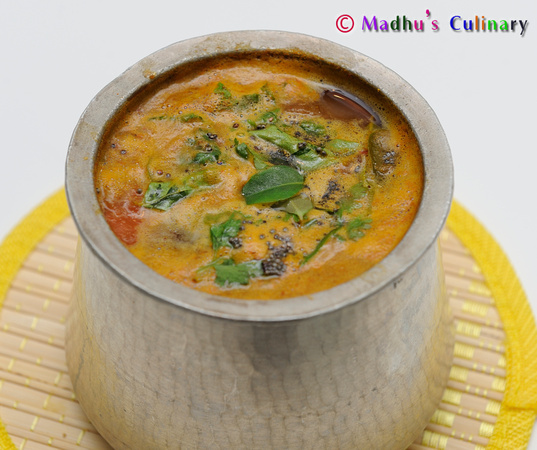 A time-tested, age old authentic South Indian side dish, that is so Yummy and mouth watery. Soak tamarind in hot water(just enough to soak the tamarind) for 5 min. Squeeze the tamarind into thick paste and keep it aside. No with the juiced out tamarind, add water(regular) and squeeze into liquid consistancy (thin). 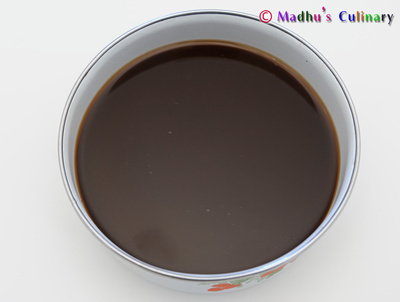 Take a kadai, dry rost the “To Grind” section products (each seperately). Keep it aside and let it cool. Then grind each of the cooled product seperatly using blender/mixer. Take a heavy bottom pan, add oil and heat it. Add mustard seeds. When it splutters, add red chilli and hing and stir it well. Keep the flame in the medium heat. 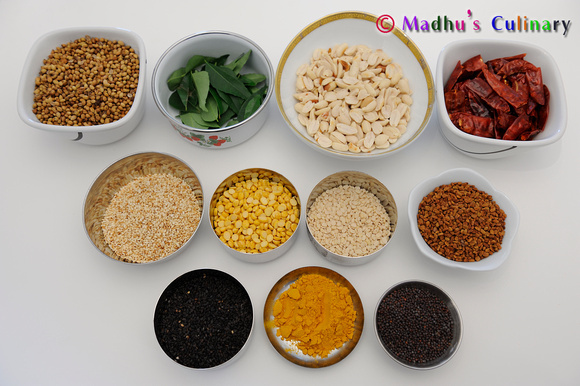 Add channa dal, urad dal and peanut fry until golden color. 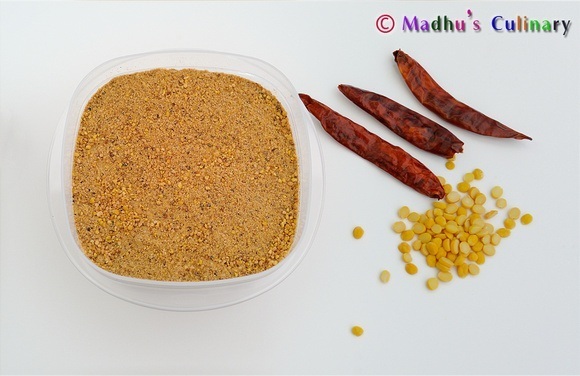 Add curry leaves, then add tamarind water (thin consistency) and mix it well.After one boil add the thick tamarind water, salt and turmeric powder and mix it well. Let it boil for 10 min in the medium flame. 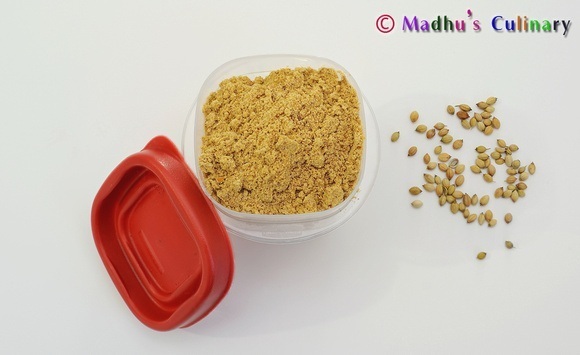 Add the groud product one by one in the following order – Fenugreek seed powder, red chili powder, coriander seed poiwder, white and black sesame seed powder. Mix it well. (note: add all the powder by keeping the heat in low flame to prevent getting lumps). Let it boil for 5 minutes. If needed add 2 tbsp of gingily oil. Switch off the flame. Let it cool and later store it the dry and air tight container. You can use it for up to 1 month. After 1 week u can keep it in the refrigirator. Serve it wih hot rice. Mix the rice with gingily oil. Eat it with papad and morkuzhambu or aviyal.Yummy dish is ready.